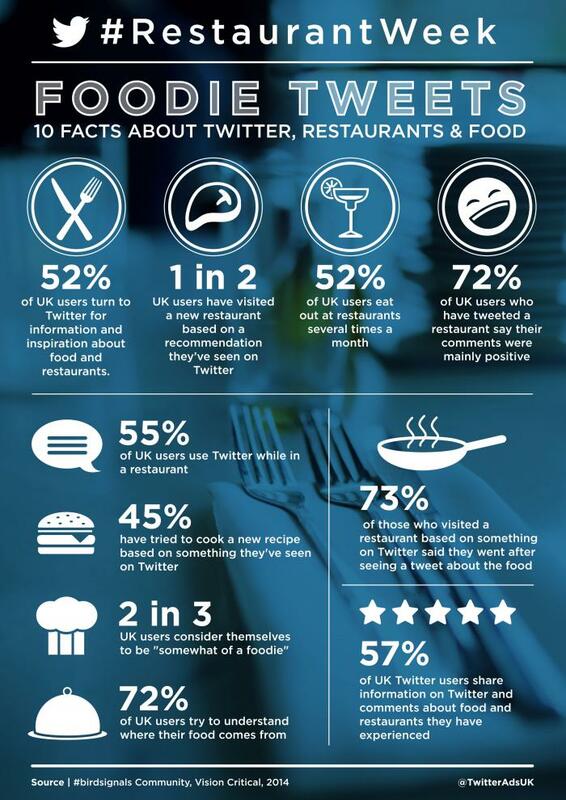 Did you know that 55 percent of Twitter users in the United Kingdom have used Twitter while in a restaurant? 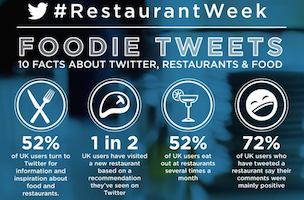 What if I told you that 52 percent of UK users turn to Twitter for information and inspiration about food and restaurants, that one in two have visited a new restaurant based on a recommendation they’ve seen on Twitter and that 72 percent of users who have tweeted a restaurant say their comments were mainly positive? 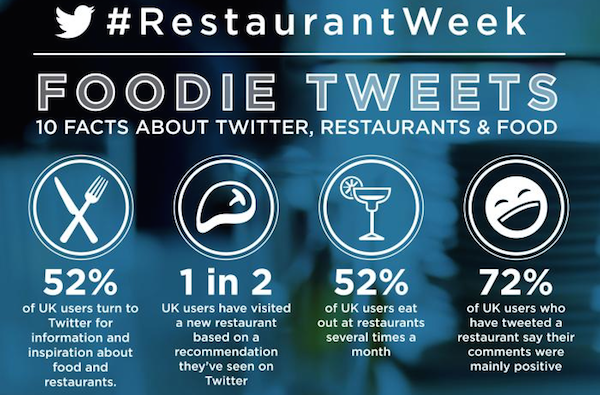 It’s #RestaurantWeek on Twitter and to celebrate the company has launched this infographic, which reveals 10 facts about Twitter, restaurants and food.